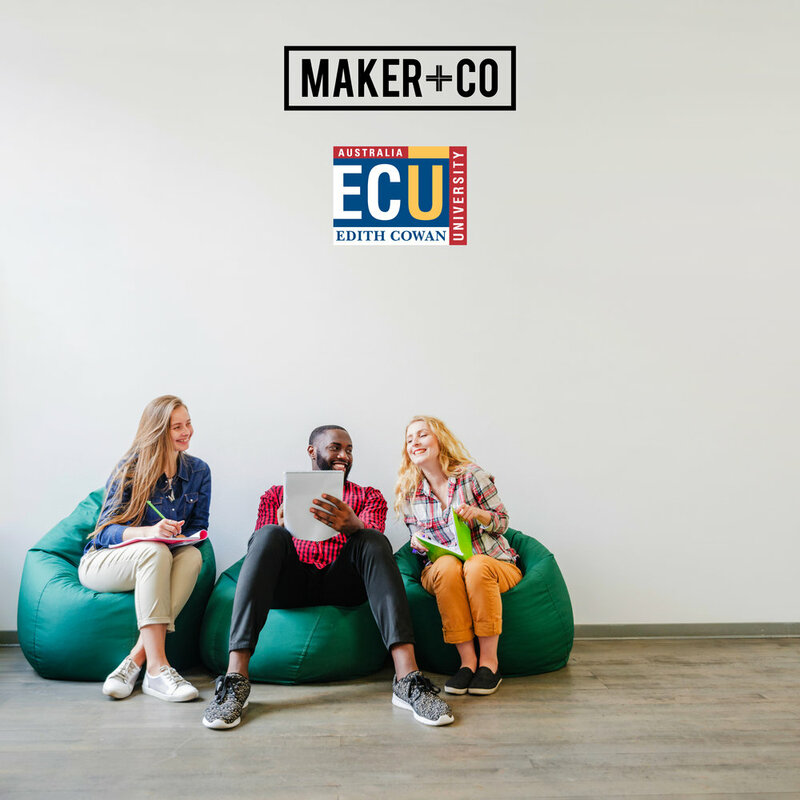 Did you know that Downstairs @ Maker is now the ECU CBD Learning Hub? This space will feature weekly and fortnightly events that give the whole community the chance to meet up, share ideas, or simply sit back and learn something new. Edith Cowan University (ECU) has been the foundation partner of Maker + Co since August 2016. Working together, ECU and Maker + Co will shape contemporary learning environments in which critical thinking and innovation drive positive social impact. Check out our latest program on our Facebook to see what’s happening this month.